Quantitative easing and a near-zero interest rate have produced lopsided positions that risk another crisis. Every Treasury secretary since the late 1930s could proclaim with confidence that the U.S. bond market is the deepest and most liquid in the world. Today’s illiquid debt markets threaten the potency of this pledge and put the global economy at risk for another financial crisis. Fortunately, risks to financial stability radiating from bond markets have captured the attention of the U.S. government. This isn’t surprising given the Treasury “flash crash” of Oct. 15, 2014, when a shortage of liquidity hastened a 37 basis-point slide in yields in a mere two hours. Statistically, this equates to a change expected once in over 500 million days. A new U.S. government staff report on the “significant and unexplained volatility” in the U.S. Treasury market identified several technical issues of possible concern. Yet the report missed key challenges. It was also light on acknowledging unintended consequences from policy decisions and offering plausible solutions. The likelihood of more violent fluctuations is high. Michael Lewis stunned many by alleging in his most recent book, “Flash Boys,” that the equity market is “rigged.” Actually, the sovereign-debt market has been rigged and manipulated since the Federal Reserve’s second quantitative-easing program began in 2010, throwing all bond markets off-kilter. In March 2012 we wrote in these pages how the Fed was manipulating the U.S. Treasury market through QE by buying an unprecedented 61% of all Treasury issuance. Fed purchases peaked at close to 80% last year. These central-bank interventions force the bellwether interest rate below its natural level. Investors progressively chase higher-yielding alternatives. Skewed exposures to riskier debt such as corporate bonds mount over time. Similarly, a scarcity of high-quality Treasury debt leads investors to buy bonds, pushing yields lower, and resulting in a series of one-way bets. Many of us with experience in emerging markets are acutely sensitive to the risk of lopsided positions built over time. When this happens, a minor disturbance often unleashes a sharp cascade in prices and the evaporation of liquidity. In the U.S. today, QE has resulted in investors piling into bonds at high prices. If investors rush to reduce these supersize positions, they will encounter a market less capable of handling large transactions. This will likely result in a sharp drop in prices, possibly prompting another crisis. A seizure in the market for Treasurys would have a debilitating impact well beyond fat-cat financial institutions. The buying and selling of U.S. Treasurys is the backbone for small- and medium-size financial institutions, corporations and credit to individuals. • Lift the federal-funds rate to neutral levels. 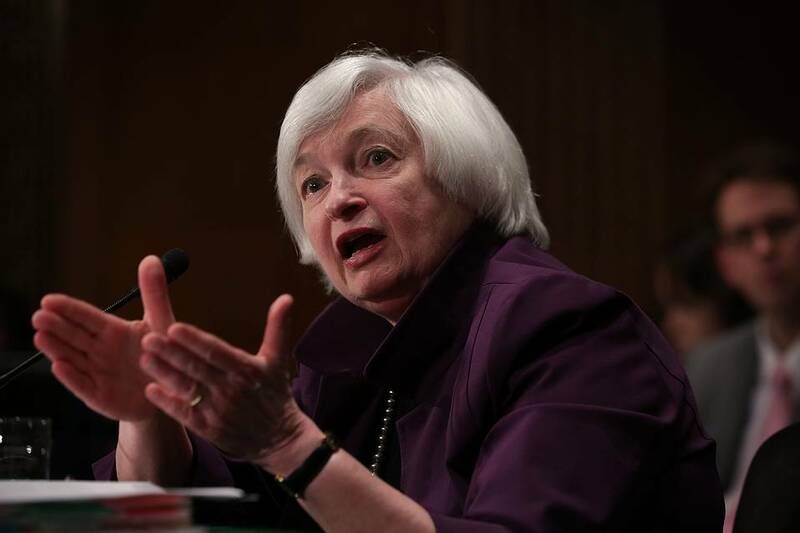 The Fed must exit its postcrisis near-zero interest rate policy smoothly and resolutely. The longer it waits the deeper imbalances grow domestically and internationally, as central banks around the world are forced to keep their interest rates well below natural levels. • Ease restrictions on market finance. Since the 2010 Dodd-Frank law, there has been a collapse in available market liquidity despite more than ample central-bank liquidity. Our data show that the availability of market finance—repurchase agreements, commercial paper and money-market funds—is nearly 30% below a reasonable level to support liquid markets and economic growth. U.S. financial regulators would be well advised to ease restrictions that raise the costs to financial institutions of operating in plain-vanilla markets such as repurchase agreements. This coupled with a normalized federal-funds rate would help restore a market essential for fueling liquidity and credit to institutions of all sizes. • Arrange new private-sector liquidity facilities. History illustrates how precise infusions of funding can restore health to illiquid markets during times of distress. Today, new challenges require fresh ideas—such as private-sector liquidity facilities. As a first line of defense, bankers need to work with debt issuers to design, authorize and pre-fund liability management facilities tailored for expected crisis conditions. Leading investment firms should raise funding now. The Fed’s stress-test definition of a “severely adverse” scenario could provide the contingency triggers for deploying that funding: a 30% decline in equity indexes and a 500 basis-point widening of corporate-bond spreads. In a crisis, the Fed, acting as a coordinator, could call the firepower and expertise to the table to organize support for broken markets. There is substantial private and public capital available to pre-fund liquidity buffers. Cash on corporate balance sheets abounds. The top 100 publicly traded companies in the U.S. hold more than $3.2 trillion in cash and marketable securities. Sovereign-wealth funds, pension funds, insurance companies, private-equity firms and hedge funds also have substantial cash on hand. But the availability of this liquidity does not mean it will be deployed when needed. Private-sector buffers—developed in concert with the Fed and Treasury—would strengthen the existing legal and market structures and bypass the need for new emergency governmental powers to force capital into markets. Severe liquidity risks will not heal themselves. To lessen the likelihood of another widespread financial crisis, the time to act is now. Mr. Goodman is president of the Center for Financial Stability, where Mr. Dizard serves as special counselor. LONDON – Now that Greek banks have reopened and the government has made scheduled payments to the European Central Bank and the International Monetary Fund, does Greece’s near-death experience mark the end of the euro crisis? The conventional answer is a clear no. According to most economists and political commentators, the latest Greek bailout was little more than an analgesic. It will dull the pain for a short period, but the euro’s deep-seated problems will metastasize, with a dismal prognosis for the single currency and perhaps even the European Union as a whole. But the conventional wisdom is likely to be proved wrong. The deal between Greece and the European authorities is actually a good one for both sides. Rather than marking the beginning of a new phase of the euro crisis, the agreement may be remembered as the culmination of a long series of political compromises that, by correcting some of the euro’s worst design flaws, created the conditions for a European economic recovery. To express guarded optimism about the Greek deal is not to condone the provocative arrogance of former Greek Finance Minister Yanis Varoufakis or the pointless vindictiveness of German Finance Minister Wolfgang Schäuble. Neither is it to deny the economic criticism of the bailout provisions presented by progressives like Joseph Stiglitz and conservatives like Hans-Werner Sinn. The arguments against creating a European single currency and then allowing Greece to cheat its way into membership were valid back in the 1990s – and, in theory, they still are. But this does not mean that breaking up the euro would be desirable, or even tolerable. Joining the euro was certainly ruinous for Greece, but there is always “a great deal of ruin in a nation,” as Adam Smith remarked 250 years ago, when losing the American colonies seemed to threaten Britain with financial devastation. The great virtue of capitalism is that it adapts to ruinous conditions and even finds ways of turning them to advantage. The United States in the mid-nineteenth century was badly suited for a single currency and a single economic structure, as evidenced by the Civil War, which was provoked as much by single-currency tensions as by moral abhorrence to slavery. Italy would probably be better off today if Garibaldi had never launched unification. But once unification has happened, the pain of dismantling the political and economic settlement usually overwhelms the apparent gains from a break-up. This seems to be the case in Europe, as clear majorities of voters are saying in all eurozone countries, including Germany and Greece. Thus, the question was never whether the single currency would break up, but what political reversals, economic sacrifices, and legal subterfuges would occur to hold it together. The good news is that Europe now has some persuasive answers. Indeed, Europe has overcome what could be described as the “original sin” of the single-currency project: the Maastricht Treaty’s prohibition of “monetary financing” of government deficits by the ECB and the related ban on mutual support by national governments of one another’s debt burdens. In January, ECB President Mario Draghi effectively sidestepped both obstacles by launching a program of quantitative easing so enormous that it will finance the entire deficits of all eurozone governments (now including Greece) and mutualize a significant proportion of their outstanding bonds. Moreover, European governments have belatedly understood the most basic principle of public finance. Government debts never have to be repaid, provided they can be extended in a cooperative manner or bought up with newly created money, issued by a credible central bank. But for this to be possible, interest payments must always be made on time, and the sanctity of debt contracts must always take precedence over electoral promises regarding pensions, wages, and public spending. Now that Prime Minister Alexis Tsipras’s government has been forced to acknowledge the unqualified priority of debt servicing, and can now benefit from unlimited monetary support from the ECB, Greece should have little problem supporting its debt burden, which is no heavier than Japan’s or Italy’s. Finally, Germany, Spain, Italy, and several northern European countries required, for domestic political reasons, a ritual humiliation of radical Greek politicians and voters who openly defied EU institutions and austerity demands. Having achieved this, EU leaders have no further reason to impose austerity on Greece or strictly enforce the terms of the latest bailout. Instead, they have every incentive to demonstrate the success of their “tough love” policies by easing austerity to accelerate economic growth, not only in Greece but throughout the eurozone. This raises a key issue that the Tsipras government and many others misunderstood throughout the Greek crisis: the role of constructive hypocrisy in Europe’s political economy. Gaps between public statements and private intentions open up in all political systems, but these become huge in a complex multinational structure like the EU. On paper, the Greek bailout will impose a fiscal tightening, thereby aggravating the country’s economic slump. In practice, however, the budget targets will surely be allowed to slip, provided the government carries out its promises on privatization, labor markets, and pension reform. These structural reforms are much more important than fiscal targets, both in symbolic terms for the rest of Europe and for the Greek economy. Moreover, the extension of ECB monetary support to Greece will transform financial conditions: interest rates will plummet, banks will recapitalize, and private credit will gradually become available for the first time since 2010. If budget targets were strictly enforced by bailout monitors, which seems unlikely, this improvement in conditions for private borrowers could easily compensate for any modest tightening of fiscal policy. In short, the main conditions now seem to be in place for a sustainable recovery in Greece. Conventional wisdom among economists and investors has a long record of failing to spot major turning points; so the near-universal belief today that Greece faces permanent depression is no reason to despair. Quick: Can you name the most valuable bank in the world? It isn’t who you think. San Francisco-based Wells Fargo & Co. recently surpassed Industrial & Commercial Bank of China Ltd. as the lender with the largest market value in the world. Now, Wells Fargo’s market capitalization is approaching $300 billion, a first for a U.S. bank—and $42 billion and $120 billion more than J.P. Morgan Chase & Co. and Citigroup Inc., respectively. The shares traded lower Tuesday, putting Wells Fargo about $1.3 billion short of the milestone. After a 13.5% gain in the past 12 months, Wells Fargo is now the seventh-largest stock in the S&P 500 index. The bank’s size underscores the relative strength of the U.S. economy, as China is racked by stock-market gyrations and Europe labors with existential questions about the eurozone. Even after paying tens of billions in regulatory settlements stemming from the crisis, U.S. banks have recovered handsomely. The KBW Bank Index, a measure of large U.S. bank stocks, is trading near a postcrisis high. And J.P. Morgan, the largest U.S. bank by assets and second-largest behind Wells Fargo in market value, hit its own all-time stock record of $69.75 a share June 23. Wells Fargo’s market value surpasses those of all peers thanks largely to its relatively simple business, which doesn’t rely on many complex derivatives or risky trades using borrowed money. Shares at Wells Fargo trade at 1.78 times the company’s book value, compared with 1.18 times at J.P. Morgan and 1.02 times at ICBC, which has suffered recently from concerns about the Chinese economy. “There’s just no question the industry is so much stronger than what it was six, seven, eight years ago,” said John Stumpf, the bank’s chairman and chief executive, in an interview. “The U.S. economy is doing quite well, especially in relative terms to the rest of the world.…There’s [also] been a lot of capital and liquidity raised” by the banks. Wells Fargo has its vulnerabilities. Some analysts point to cost controls and a loan book with exposure to falling energy prices. Others note that its shares are priced on the expensive side compared with its book value, and that banks often haven’t held the market-cap title for long. But Wells Fargo isn’t like many of its competitors. It is the No. 1 player in U.S. mortgages but is relatively small in trading, a business that has attracted heavy regulatory scrutiny and higher capital requirements. J.P. Morgan’s corporate and investment bank, which includes trading, made up 36% of the firm’s revenue in the second quarter, while the similar division at Wells Fargo, where trading is even smaller, was 29% of revenue. On Monday, the Federal Reserve told eight of the country’s biggest banks how much extra capital they would need to set aside to protect against losses. Of the six largest banks, Wells Fargo, the fourth largest by assets, has the smallest surcharge—2%—compared with 4.5% at J.P. Morgan and 3% at Bank of America Corp. and Goldman Sachs Group Inc.
Why is Wells Fargo valued the way it is? Largely because the very traits that were considered a weakness a generation ago are now regarded as a strength. The bank has largely eschewed investment banking and trading income, which has endeared it to regulators. That means the bank has fewer capital demands, which lowers its lending costs and increases its ability to pay dividends and buy back shares. One particular practice that has put Wells Fargo in the good graces of regulators is its sparing use of derivatives, which are contracts banks use to hedge or speculate on various price movements, often using borrowed money. According to a recent study by the Office of the Comptroller of the Currency, Wells Fargo had $5.8 trillion in notional value of derivatives on its books, compared with $47.2 trillion at Bank of America Corp., $56.2 trillion at J.P. Morgan and $56.6 trillion at Citigroup. Many investors are also betting on Wells Fargo as a way to benefit if interest rates rise. The profitability of consumer banks like Wells Fargo often increase as the economy heats up and long-term bond yields climb. “A lot of funds have gravitated toward Wells Fargo because it feels like a cleaner story,” said David Konrad, head of bank research at Macquarie Group Ltd. Despite being the largest U.S. mortgage lender, Wells Fargo hasn’t weathered as many regulatory fines as others in the industry. Wells Fargo has yet to pay a major fine to the Department of Justice over residential mortgage-backed securities, whereas Bank of America doled out $16.65 billion, J.P. Morgan paid $13 billion and Citigroup clocked in at $7 billion over roughly the past 18 months. As for global valuation, Wells Fargo has wrestled with ICBC for the top spot for years. It first ousted the Chinese lender from the most-valuable spot in 2013. Citigroup, which was the most valuable U.S. bank before the financial crisis, today is fourth most valuable. Chinese bank performance has been sluggish as the country’s economy slows. Its state-run banks were able to deliver double-digit growth for years. But bad debts and a slowing economy are taking their toll. ICBC Chairman Jiang Jianqing said in a March briefing that “it is no longer possible to maintain such high growth levels.” ICBC shares have fallen about 19% in the past three months, according to FactSet. Blowing up the Middle East in order to save it—that’s the logic at work. The Iran deal is supposed to prevent a nuclear-arms race in the Middle East. So what better way to get that ball of hopefulness rolling than by arming our regional allies to the teeth? Let’s follow this logic. If the Iran deal is as fail-safe as President Obama claims, why not prove it by giving the Saudis exactly the same nuclear rights that Iran is now to enjoy? Why race to prevent an ally from developing a capability we have just ceded to an enemy? What’s the point of providing the Saudis with defense capabilities they presumably don’t need? A hypochondriac convinced he has cancer isn’t usually offered a course of chemotherapy. What we have here is ObamaCare for Arabia. Here the claim is false by the president’s own admission. The promise of the deal is that it is supposed to give the world at least a year’s notice that Iran is seeking a bomb. But once the terms of the deal expire, so does the notice period. “At that point,” Mr. Obama acknowledged to NPR’s Steve Inskeep, “the breakout times would have shrunk almost down to zero.” That’s not true today. On Thursday, Moscow confirmed that it will proceed with the sale to Iran of its state-of-the-art S-300 surface-to-air missile system, notwithstanding the deal’s supposed five-year arms embargo on Iran and over no objections from the White House. The sale means that a future president ordering airstrikes against Iran would do so against an adversary that can shoot American planes out of the skies. That’s also not true today. What about “snap back sanctions”? This is the make-believe mechanism whereby the slightest Iranian infraction will swiftly be detected and countered by a majority vote of a special multilateral committee that will instantly and forcefully reapply all the sanctions that were previously lifted. Because this is how multilateral committees across the ages have always worked. Efficiently and without regard to political or commercial considerations. In practice, the threat of the latter will inevitably prevent the application of the former. Iranian violations of the deal, especially if they are technical and incremental, will be tolerated for the sake of preserving the deal. Violations will be treated as differences of interpretation as to what the deal requires, or as arcane disputes over technical issues, or as responses to some Western provocation. 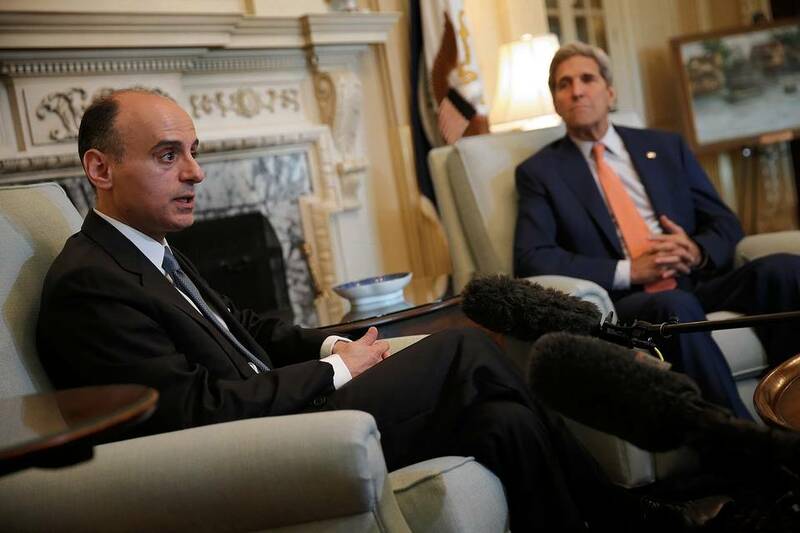 Pretexts will be contrived to revise the deal to suit new and more expansive Iranian demands. Editorialists will enjoin “all parties” to reason and restraint. “When enough bureaucratic prestige has been invested in a policy,” Henry Kissinger once wrote, “it is easier to see it fail than to abandon it.” That’s the future of the Iran deal. Let it be entered into the record that the United States government has agreed to release monies that it believes will be used to fund Iran’s terrorist proxies. It has done so on the intriguing rationale that, in order to prevent the Middle East from becoming a very dangerous place in the future, it is necessary to allow it to become a very dangerous place now. To adapt a phrase, the administration believes that it has to destroy a region in order to save it. Iran will get its money. It will redouble its bad behavior. And sooner or later it will probably get its bomb. The most Congress can do now is to lay a political predicate for the next president to disavow the deal. Good luck.